This local trail system is being developed by the not-for-profit People Pathways and by the city of Greencastle. The open section going east to Hendricks County is the Vandalia Trail, highlighting the corridor's history as the former Vandalia Railroad, in coordination with Plainfield and Hendricks County. The developing section going southwest from Greencastle is the Putnam Nature Trail, highlighting the dramatic natural beauty in this area of the county. People Pathways has developed 8.1 miles of mostly packed stone trail along this corridor from the east side of Greencastle through the town of Fillmore to Hendricks County. The first 3 miles was opened in 1998. 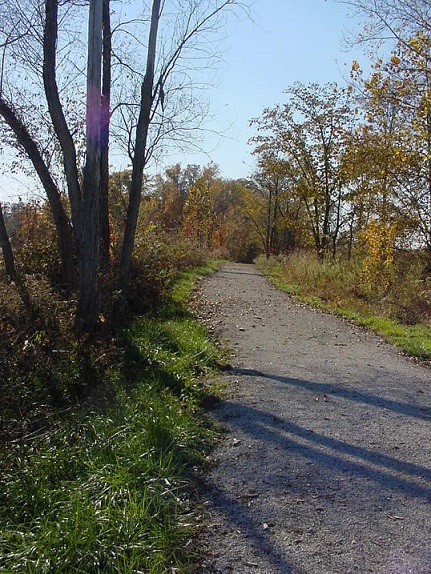 The trail follows the former Pennsy/Vandalia rail corridor and is part of the 12-mile Amo to Greencastle Vandalia Trail. 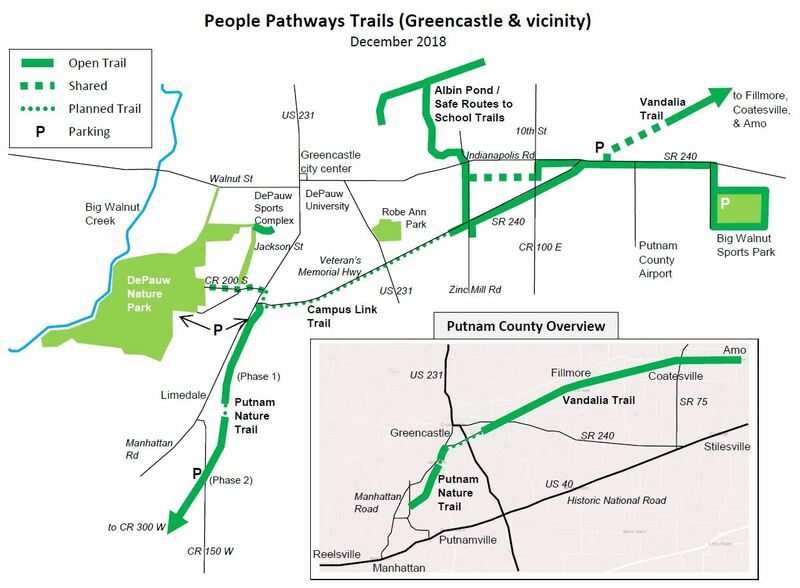 People Pathways has also opened the 0.8-mile Phase 1 of the Putnam Nature Trail going south from Greencastle and the 2.6-mile Phase 2 going southwest from Limedale. People Pathways has been instrumental in the city of Greencastle obtaining a TE grant to extend the trail southwest across the city, eventually to connect to DePauw University by way of the Campus Link Trail. People Pathways is also working with NRHT, Inc on strategies for further extension southwest from Greencastle to rejoin the Historic National Road by way of the scenic Big Walnut Creek area.